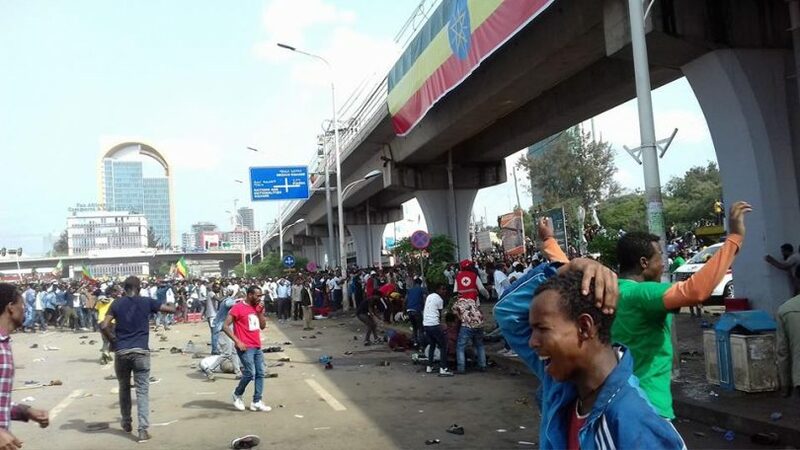 (OPride)— A bomb explosion on Saturday disrupted a massive rally by supporters of Ethiopia’s reformist prime minister Abiy Ahmed. More than a dozen people were injured, according to the Associated Press. 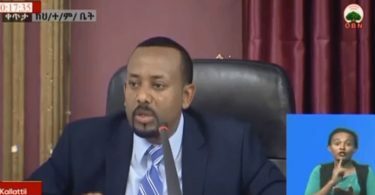 The incident happened as PM Abiy finished speaking to supporters and was due to receive “a gift” from the organizers of the March at Meskel Square in the capital, Addis Ababa. PM Abiy was quickly escorted off the stage. He was unhurt. In a televised address shortly after the incident, the PM appealed for calm and vowed to stay the course despite attempts to undermine his government’s reform agenda. He sent condolences to families of those who were killed and injured today. PM Abiy sent his condolences and appealed for calm and unity to defeat spoilers. “Love will win. Forgiveness will win. Killing is a sign of defeat. They failed yesterday. They failed TODAY. They will fail TOMORROW.” He also seemed to suggest that there’s indeed a loss of life. It is now confirmed that 4 people have died and scores injured. Police sources assert that this was an assassination attempt on the new Prime Minister. He has been undertaking aggressive and fast tracked reform that have angered some elements within the old guard. 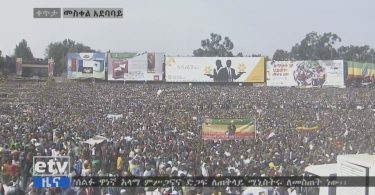 Ethiopians are protesting en mass in the capital Addis Ababa. But, ironically, today’s demonstration, attended by tens of thousands from across the country, was organized in support of the ruling Ethiopian Peoples’ Revolutionary Front (EPRDF) and its new chairman and Prime Minister Abiy Ahmed. It is ironic because some of the same people rallying in support of PM Abiy today were only few months ago protested opposing EPRDF and its repressive policies. So what happened? Abiy was appointed prime minister in April to quell years of protests that brought the country to the brink of collapse. The 41-year-old leader has since replaced corrupt government officials; he apologized for the security forces killing of protesters; he made a startling admission that his government tortured opponents. Tens of thousands of political prisoners have been freed. 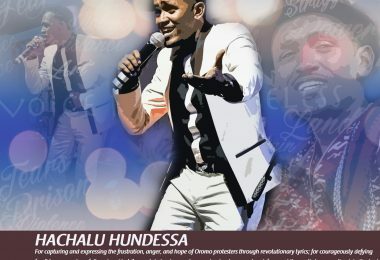 He has rejuvenated hope and appealed for unity. His government is trying to turn around the economy. Follow along for updates. We have lost loved ones, we had been hurt and still hurting but I support Dr Abiy’s vision. For the first time in my life of three decades, I see hope for my poor country and Africa. 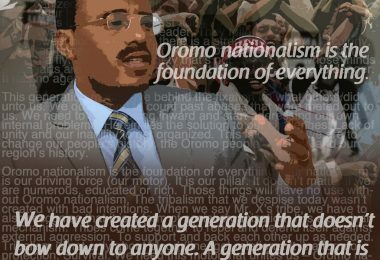 I am ready to forgive the evil woyane and its cadres but are they ready to embrace the people of Ethiopia? We should all see the big picture or we will forever be the sh*t holes of earth. No matter the result, salute Dr Abiy! Today, our enemies are enraged but our friends’ hearts are happy. Be on the right side of history! Stop the blood shed of brothers.